The library shelves more than a lakh books and non book collections. Having seating of more than 400, it provides 20 unique services to make reading a pleasure. Career Guidance Center offers programmes in the area of skill development, placement training etc. We invite companies of repute for campus recruitment. access notifications, announcements, schedules, customized progress portfolios and more. 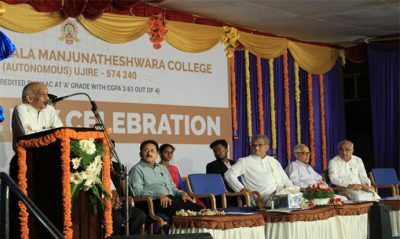 Sri Dharmasthala Manjunatheshwara College Ujire, located at the foothills of the Western Ghats is an education hub you will connect to on levels you’ve not known before, as have the nearly 3000 students studying currently. Under graduate, post graduate and research programs delivered by expert faculty and facilitated by a number of innovative platforms make for a memorable learning experience. 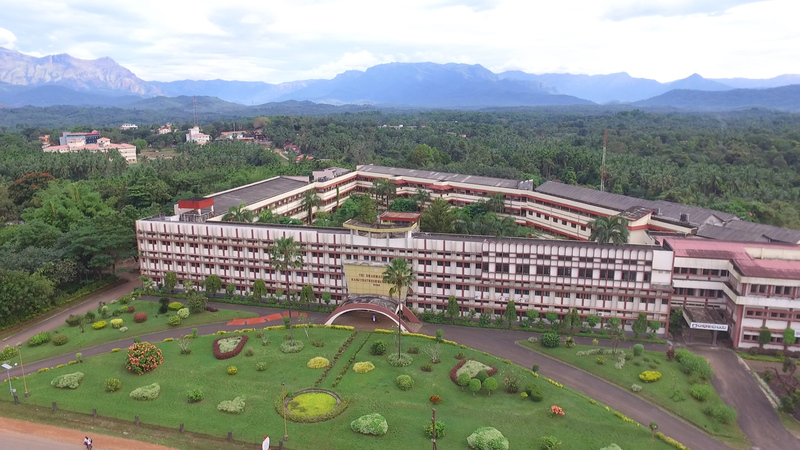 SDM Institutions are known for the inclination inspired towards well-being of the society, social initiatives and cultural orientation alongside quality education. SDM experience enables a student to grow into a holistic asset, which is why we attract students from around the country who seek to grow as individuals alongside formal education. 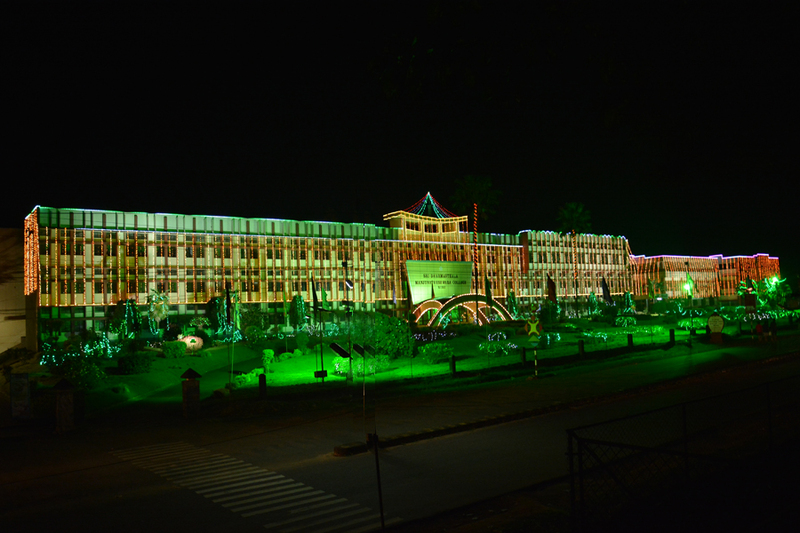 The institution publishes a fortnightly e-journal to keep the stakeholders informed about the curricular, co-curricular and extracurricular activities on the campus. 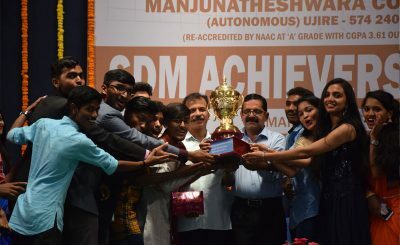 The publication comprises of Principal’s Desk, major events held at the college and at the department levels, participation and achievements of staff and students. The E Journal is sent to the registered emails of alumni, management and the stakeholders. To inculcate the spirit of humanism among the youth, our college introduced value education programme during the academic year 2005-06. Under the programme, students present a value concept for 5 minutes during the first hour of the class, every day. In order to motivate the students, the manuscripts of the best value concepts are regularly displayed in the notice board at the entrance. This programme impacted positively on the students’ behaviour. Reading newspapers and understanding the current affairs is very important in understanding the latest development locally as well as globally. Students are encouraged to purchase and read newspapers and make a presentation in the beginning of the second period of everyday classes. The staff in the class discuss the topic along with the students in the first 5 minutes. The process of conducting online internal exams for undergraduate and postgraduate students was introduced at SDM 8 years ago in 2010. Generally, the second internal exams of every semester are conducted online, where students have to answer 25 multiple choice questions. The results are generated instantly after the completion of the test. This examination process for internals in unique to SDM. Also, exams that require essay type answers for tests such as Kannada, English and Journalism are also conducted online. The range of subjects in this area shall soon expand. This system of online exams not only enables students and faculty to cope with the modern ways of education, but also prepares them with prior exposure to major entrance exams conducted in the country or abroad. The widely adapted concept of student faculty has its success model at SDM. Students from final year degree are screened and provided opportunities to conduct a maximum of 8 classes for their juniors. A remuneration is also provided to students who volunteer to take part in this process. Not only does this feature provide the students with experience and some extra income, the process has been noted to inspire students to further pursue teaching career. A number of students who excelled in this process have eventually become a part of the vast SDM faculty group. This feature is one of the most successful features of SDMC Ujire. SDM College flaunts a proud list of alumni who have raised the standards of accomplishments in life – not only in material terms, but on life skills levels as well. Not only do we have an alumni list that adds feathers to our cap on every possible sphere of life – ranging from technology to arts; we also have them backing the institution as firmly as any college would expect. The alumni association of SDM is a plethora of success stories that we cannot stop beaming about! Catch them in their element young – the undergraduate programs enable students to familiarize with the core of the subject of their interest, through classroom learning and avid practical exposure. Expertise is a must before students can venture into the professional zone, no matter what they chose to be the path for their life. Postgraduate programs enhance expertise in the area. The importance of research is never emphasized enough, but it is facilitated as best as possible at SDM College Ujire. Multiple research cells in all subjects enhance the spirit of inquisition to the core.